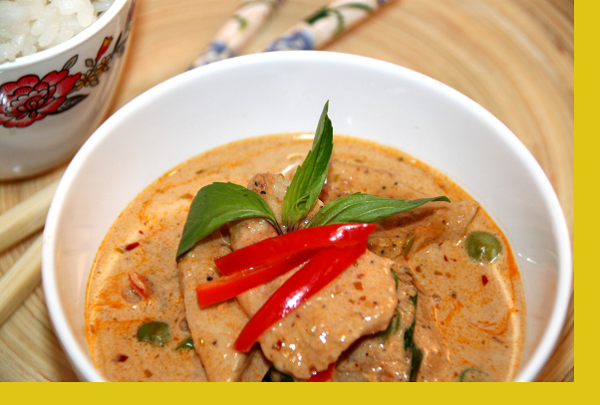 Thai red curry, not to be confused with Indian curry, is an aromatic mix of lemongrass, ginger and red chilies. 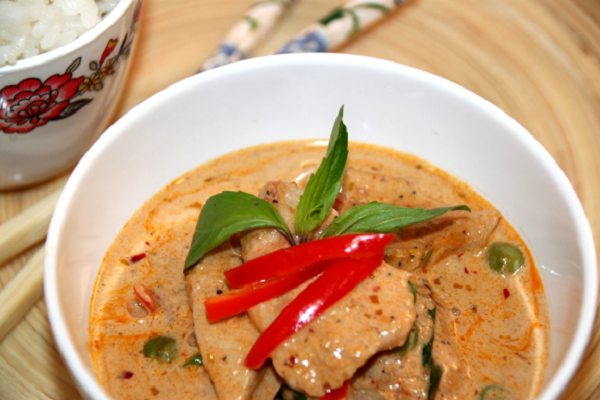 While traditional Thai curry can have a lot of heat, we've pulled back the chilies to bring more balance across the flavors in this delicious sauce that's accompanied with a chicken stir-fry. An all-star dinner in about 10 minutes. Served with white rice. 1. Heat a pan on medium heat with a tablespoon of oil 2. Once the pan is hot, add chicken breast and stir fry for about 3 mins 3. Add red curry sauce then turn heat to high 4. Bring to a boil then reduce heat to medium and simmer for 3-5 minutes until chicken is cooked through 5. Microwave rice and serve. I really don't know what to add. If you like Thai, this is amazing. We're ordering double next time. This was delicious! Even better than the Thai restaurant we normally order from. Will be ordering this one again! This was easy to prepare and so good. The whole family loved it. It wasn't spicy hot at all and had all the flavor of curry. Loved the veggies and potatoes in it. Will order again! I'm loving the new Thai dishes. This one is so tasty and ready in a jiffy.